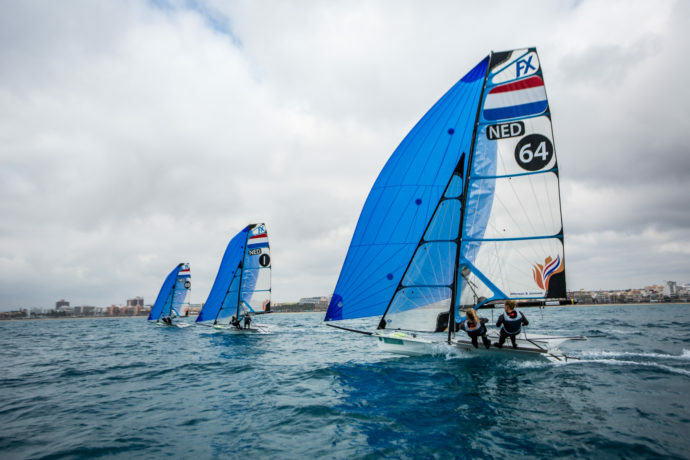 We’re getting so excited in the run-up to this year’s Sailing World Series – the first event of which is to be held in Genoa, Italy between April 15th and 19th. Skipper Annemiek Bekkering and Annette Duetz have been keeping their powder dry. 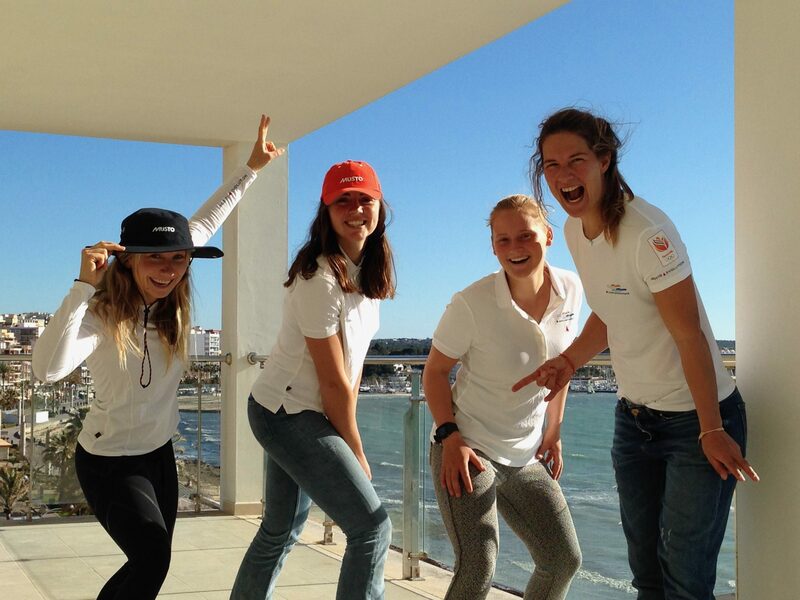 They attended last week’s Princesa Sofia Regatta in Palma in the Balearic Islands but left early: ‘is everything OK?’ fellow competitors wanted to know, when they saw them packing up …but this is all part of the plan. 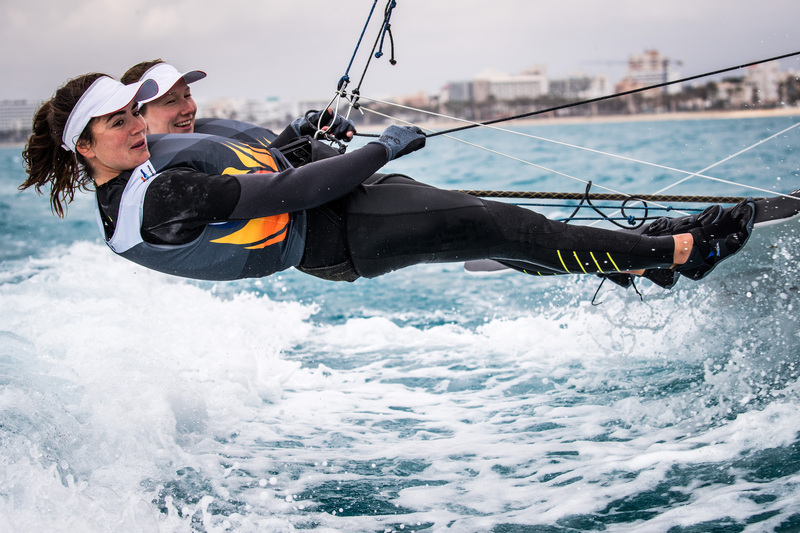 Palma has been a warm up event for them; this year Bekkering and Duetz have their eyes fixed firmly on two pathway-to-the-Olympic events in 2019 – April’s event in Genoa, and the European Championship – to be held in Weymouth, UK, in May. They’ve been trying out combinations of sail, boat, and mast; and have come up with a combination they like. They’ve been agreeing tactics, and they’ve been improving their communication so that when a situation arises on the water, they spot it early and both know what they’re going to do about it. They know what their boat is capable of, and after all this practice their orchestrated response to wind and water is both instinctive and immediate. The women race well together: Annette will frequently make in-race suggestions, too, and the key to their success is that they know each other so well, that they have spent so many days on the water together, and they think so much alike. Equally uncompromising – they both pour energy into perfecting their craft; and they’re both as-keen-as-mustard for success. Those are the qualities which have made them World Champions. But they cannot rest on their laurels – they have to fight to stay at the top; fight to represent The Netherlands in the 2020 Olympics …for there are three other Dutch 49er FX teams snapping at their heels, trying to depose them …that’s why world-class sport is so competitive – that’s what a Nation needs to do in order to present its best athletes at World events. 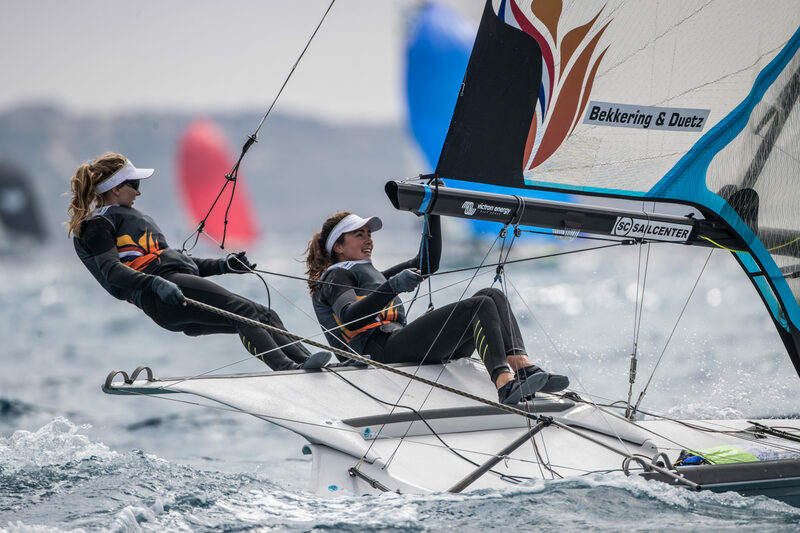 Victron Energy is proud to sponsor the entire National women’s team of Olympic 49er FX hopefuls – whose ages range between 19 and 30 – and who train under the banner the NED High Performance team. The older members of the group pass on their experience to the younger members. When they are ashore the women are the best of friends – loving nothing more than to play together. Yet out on the water that changes – each team is fighting to be the best in their country – the best in the world …and they don’t take prisoners. With all this competitive spirit there is a really exciting racing season ahead and we look forward to bringing you news of the racing action in Genoa whilst it’s still wet with salt-water.